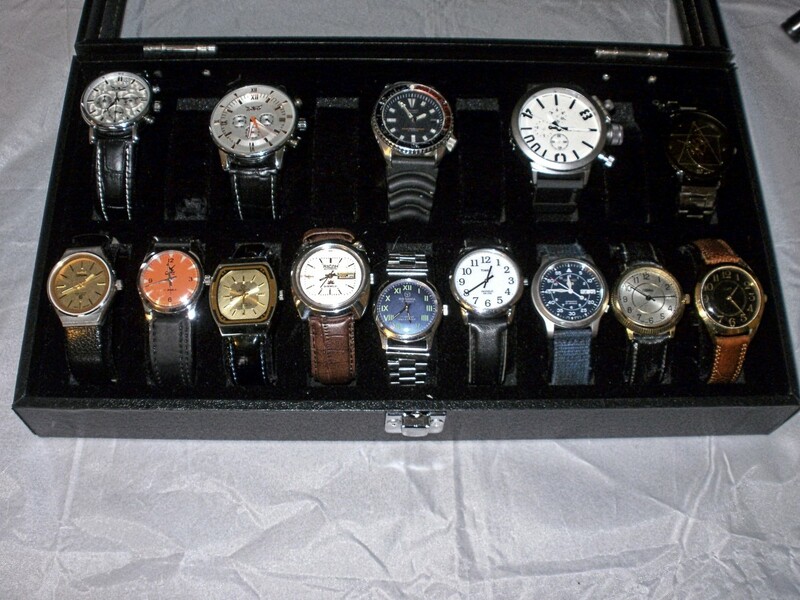 When I first began collecting watches, I purchased a large, padded leather, Tech Swiss display case for storage. I am, however, fanatical when it comes to collecting. Every day I scan the internet, searching for deals and spending far more than I can afford. Before long it became obvious that a second box would be required. Although internet-based stores provide photographs of the items they sell, it is important to read the accompanying description. This should include the type of material used to construct the box and composition of its display window. Also of significance is the width of each individual grid. 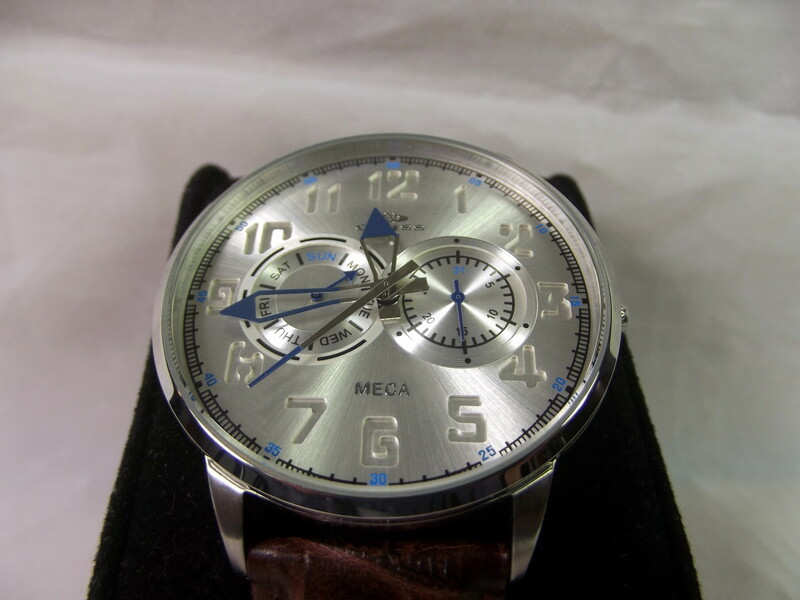 If for example, the grids measure forty-three centimeters across, the box can comfortably hold small and medium sized timepieces. 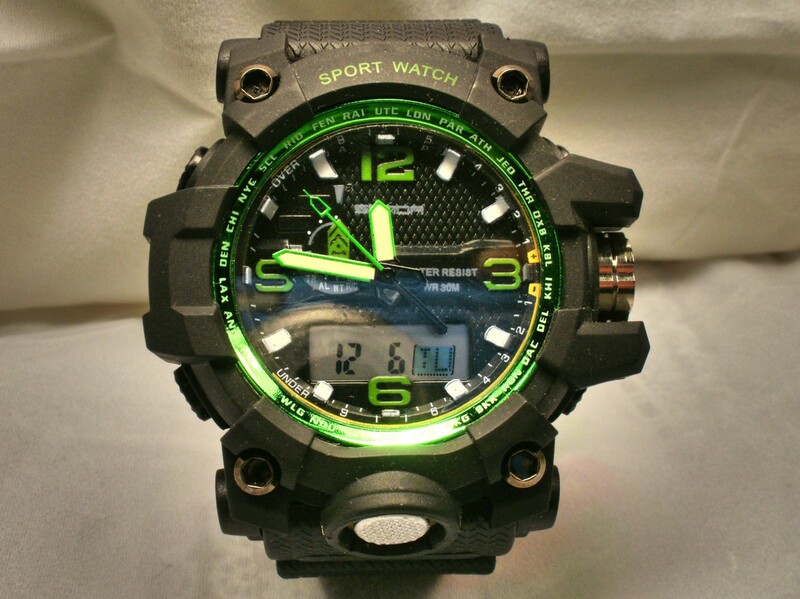 Larger watches can be accommodated but the adjoining grids may not be usable. As a general rule, you should not purchase a watch box with grids smaller than this size. Of course, rules are made to be broken and the display case reviewed below successfully breaks this criterion. I purchased the Diplomat 31-586 from Amazon. It arrived on time and well packed. Total cost came to fourteen dollars. The box is constructed of wood—probably medium grade fiberboard—and includes a large glass window. Black, faux leather covers the exterior of the case. This extends into the interior although the wooden slats reinforcing the edge of the window are simply painted. The hardware included consists of a sturdy latch and two metal hinges. Eighteen flexible inserts are provided to support the straps of watches stored inside the case. Rather than adopting the traditional grid system, Diplomat chose to provide a 27mm (one inch) thick layer of foam, punctuated by two rows of slots. 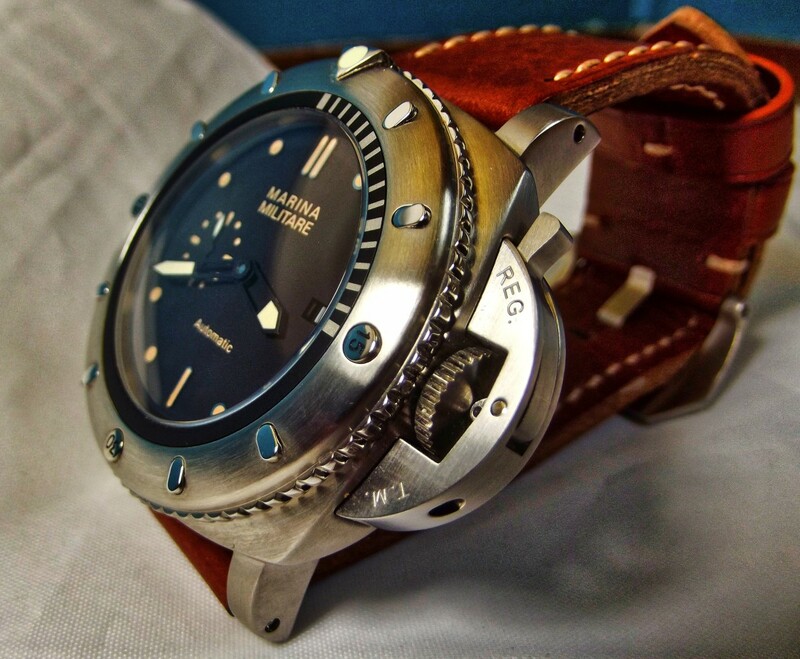 These slots are 38mm apart and can accommodate up to eighteen watches. 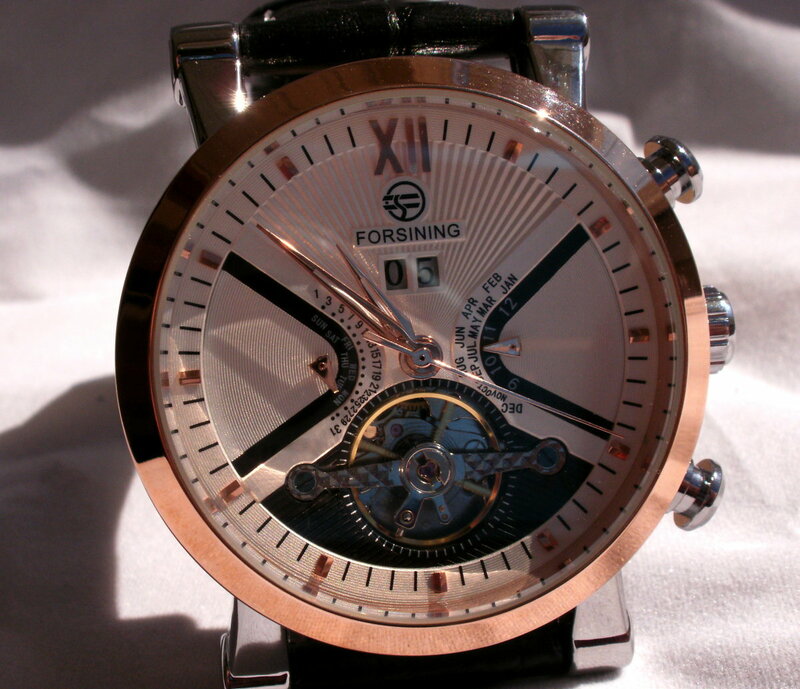 If you are a traditionalist, you might like to read my review of the Tech Swiss TSAA31-577BUR display case. 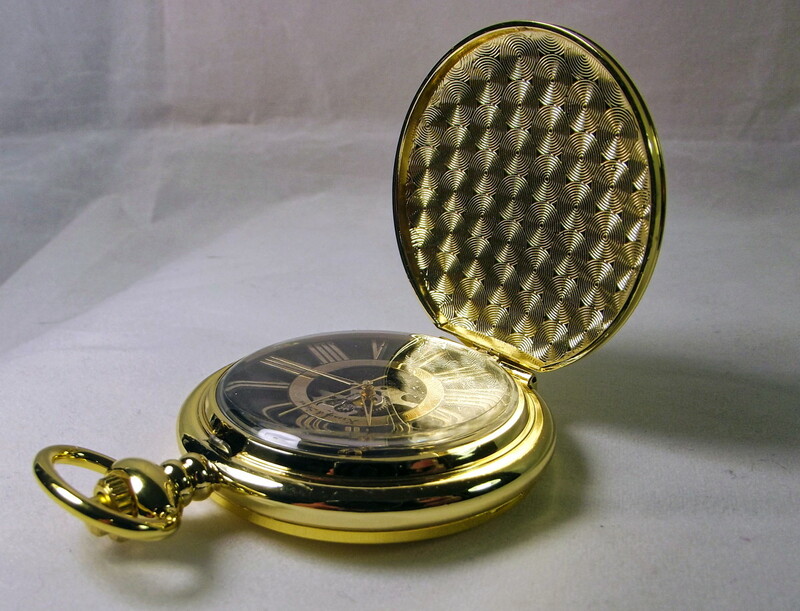 While costlier than the Diplomat, it is a beautiful watch box. 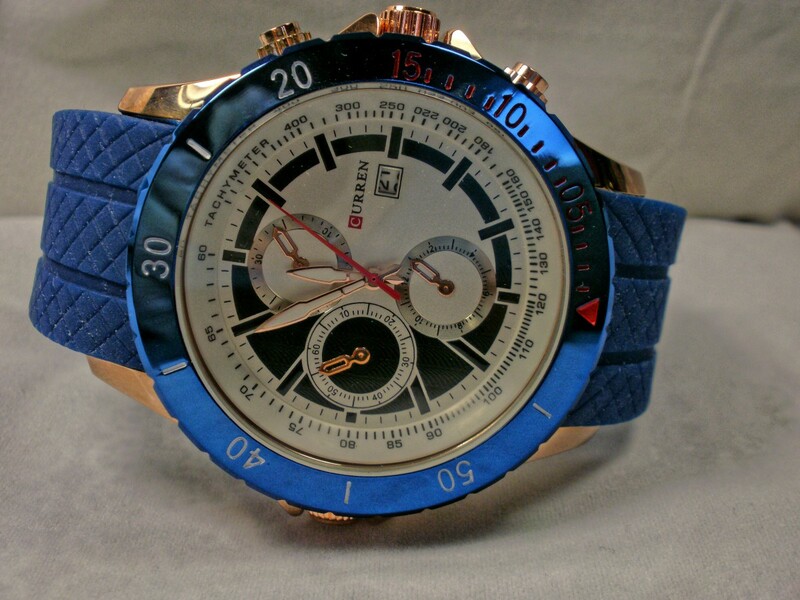 Diplomat is an exporter of Chinese manufactured watch accessories. These include display cases, watch winders and specialized toolkits. Quality ranges as high as medium and I have been impressed by their warranty support. A faux leather sheathing has been glued to the outside of the display case. Although this covering has been properly applied, it is quite thin and fails to conceal the bulges created by reinforcing material applied to the box’s corners. Please note that the appearance, under normal conditions, is not as noticeable as suggested by my photographs. Bright lights tend to exaggerate problems. 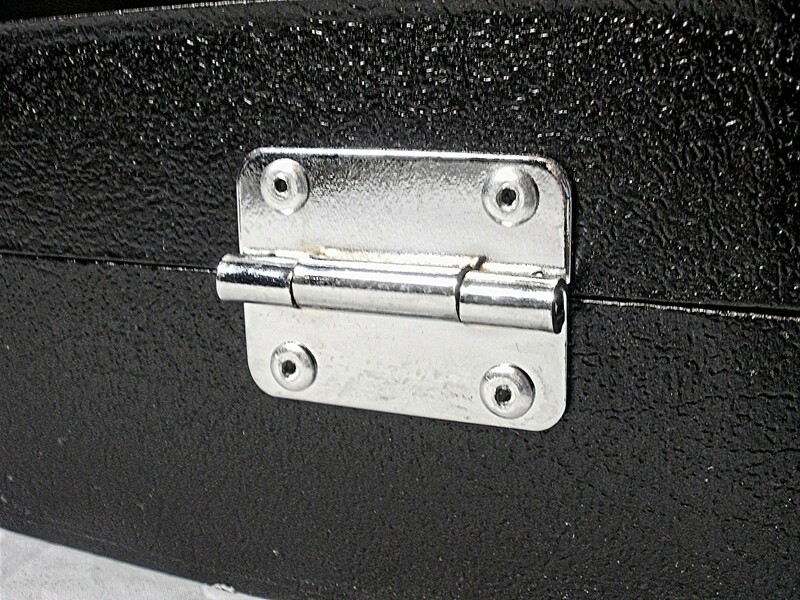 The screws used to attach the latch and hinges extend completely through the sides of the case. While they provide good support, visual appeal is slightly diminished. In order to accommodate different sized watches, Diplomat has chosen to replace the traditional grid system with one incorporating slots. Normally, in less expensive display cases, grid space is minimal. Large watches will crowd into adjoining grids, forcing the owner to leave a number of these grids empty. The problem remains with this unit but because the background is of black foam, the dreaded ‘gapped tooth’ effect is minimized. 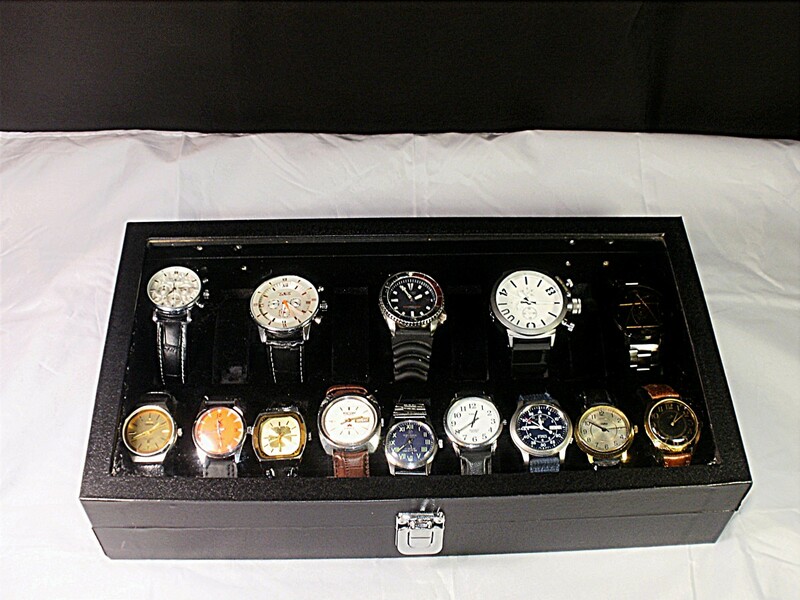 Visually, this method works well for collections that include watches of varying size. I feel this display case has been sturdily constructed. The box is fabricated from fiberboard and Diplomat chose to utilize a glass display window. The top of the foam lining is coated with a thin black material. Flexible, cloth covered inserts are supplied for each of the 18 slots. Over the six months, I have owned this box, these items have not noticeably deteriorated. 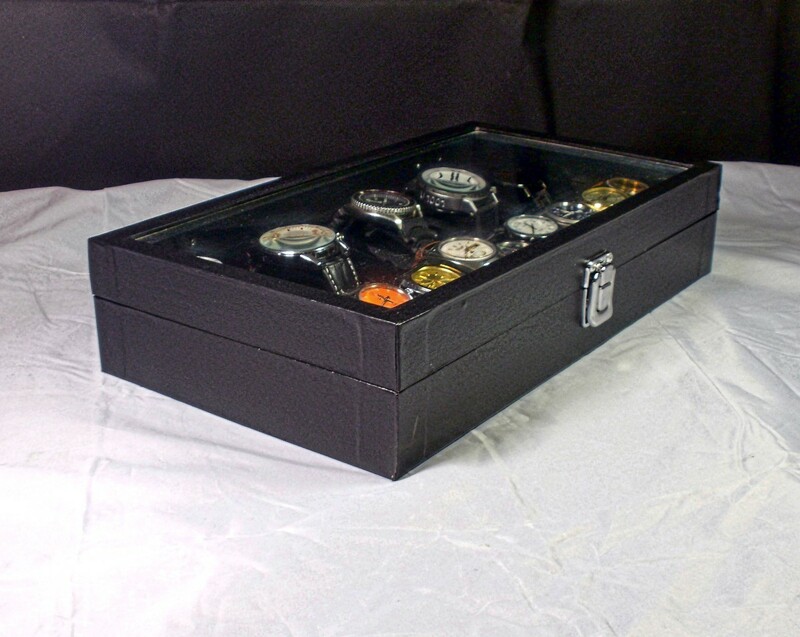 Most display cases are equipped with a mechanism designed to hold the box’s lid securely in the open position. This element is incorporated into the hinges of more expensive units. Other boxes utilize a strip of cloth that stretches from the bottom half of the box to the top. Diplomat failed to include this feature. This increases the danger of the lid falling backward or forward, possibly damaging the glass window. While this display case is not perfect, it is solidly constructed and I feel its slot system is ideally suited for watches of varying size. 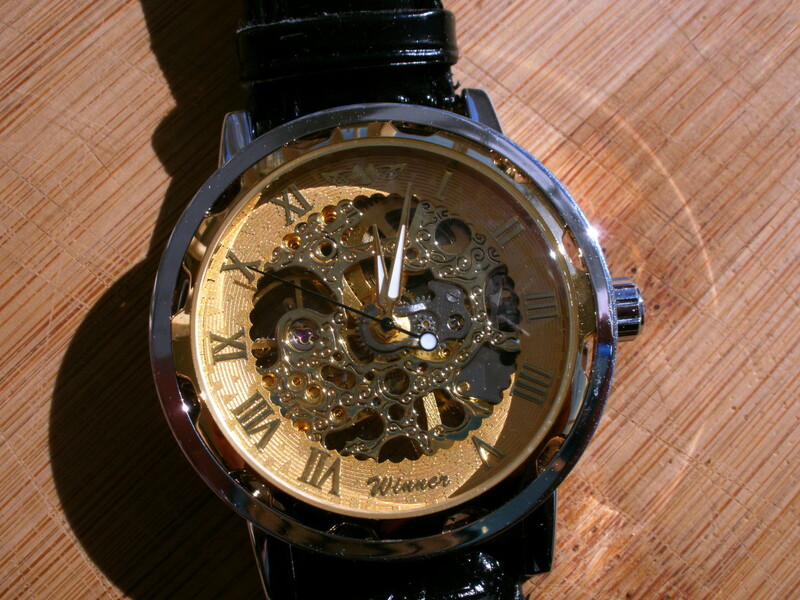 If you are looking for a good but inexpensive watch box, the Diplomat 31-586 is worthy of strong consideration. 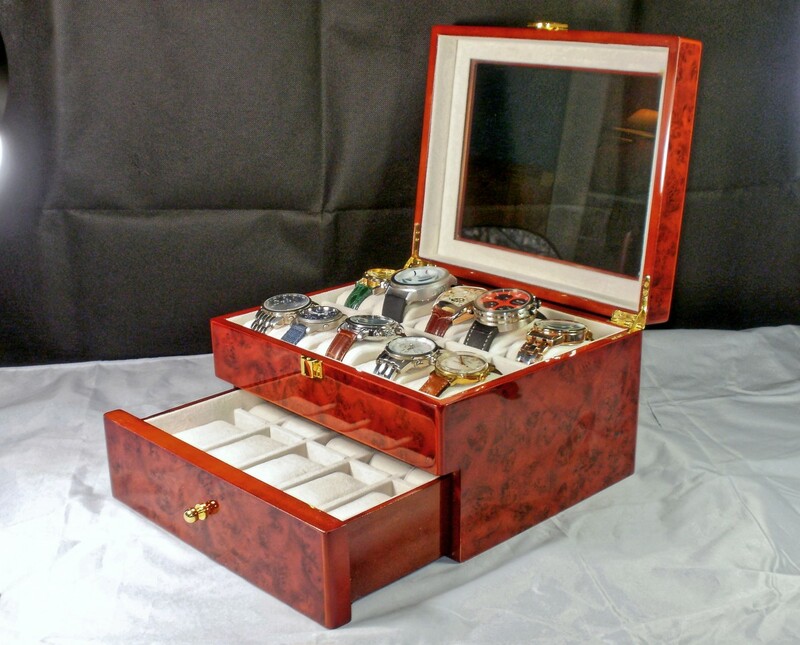 Watch boxes are designed to satisfy the needs of collectors. In the poll below I am attempting to ascertain the size most commonly required. 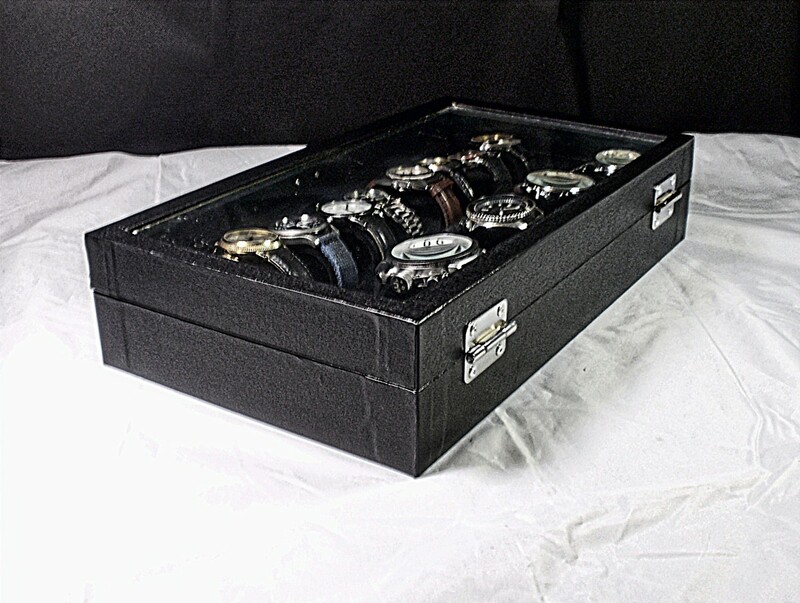 If you were to purchase a watch display case, what is the number of timepieces that you would expect it to be able to accommodate?